"He who does not observe lent is not a Christian, regardless of who he considers himself to be or what he calls himself...."
"That kind does not leave except by prayer and fasting." It is often said today that lent is harmful for our health, Of course, instances occur when an organism does not need fasting but increased nourishment. The Church does not demand a strict fast from the sick, but only according to their strength. The main thing which we must remember is that only people who do not observe lent themselves speak about the "harmfulness" of lent. Those who observe lent will never say this for they know that lent is not only harmless but positively beneficial for physical health, from their own personal experience. We are convinced of this historical reality. It is well known how strictly our ancestors used to fast, amazing other Slavs and Greeks, not to mention the heterodox with their firmness and endurance. Who will say that our ancestors were weaker than we, that we are more tenacious and stronger than they? We are not even mentioning the fact that our doctors, in many cases, start the treatment of illness with a fasting diet. "Fasting physically, let us also fast spiritually ... Let us give the hungry bread and lead the homeless into our house ... A true fast is the alienation of evil, the curbing of the tongue, the putting aside of fury, the removal of lust, speaking evil, deceit, and oath breaking ..."
"Lent seems to be gloomy until you enter into its sphere of action; but only begin and you will see that this is light after night, freedom after fetters, alleviation after a burdened life." 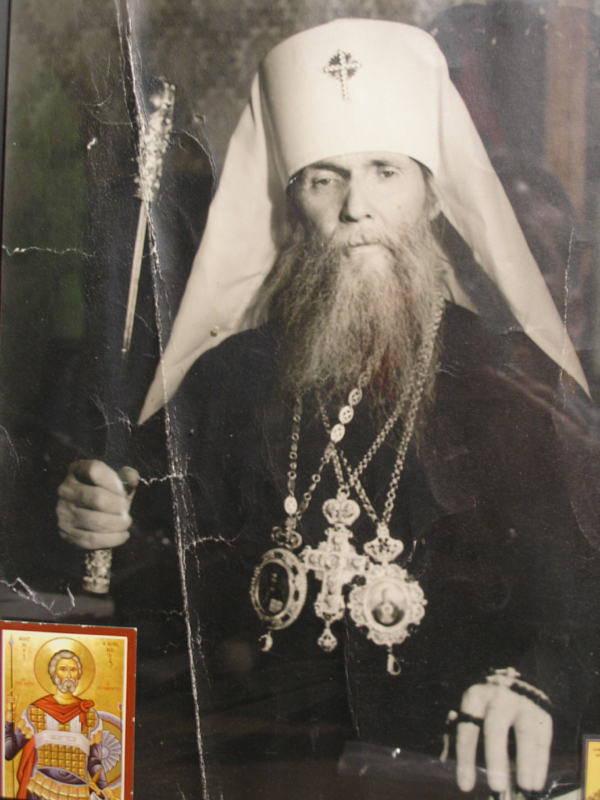 O our Saintly father Philaret, God chosen confessor of recent times, true Orthodox hierarch, guide, upholder and dependable intercessor before God for all true Orthodox faithful, standing and praying for them before God’s altar: implore our ever benevolent God to forgive us our sins and wash them away through our repentance. Through your prayers, save us from calumny of the godless and endow us with a fear of God, so that we may remain faithful children of Christ’s True Church to the end. Strengthen us in the confession of our Faith, so that we will not be frightened of persecution or suffering, and should we suffer for our Orthodox Faith, grant us strength not to reject Christ and not to accept the mark of the accursed antichrist. Glorifying the Royal Martyrs and the new Russian Confessors of Orthodoxy; for giving all true Orthodox Christians a true Apostolic succession; for anathematizing ecumenism that is the heresy of all heresies, and maintaining the rightness of authority through the unwavering truth of Christ’s words. We lay before you our prayer for your help, blessing and intercession, and at all times beseech your prayers for us. Do not cease to utter prayers to the Lover of Man God for the small flock of true Orthodox Christians, and may He grant peace to his Church, and may He deliver Her from heresies and schisms. May He also deliver us from the darkness of sin and lusts, from the clandestine snares of the sly antichrist, and may we remain steadfast unto death in confessing our holy Orthodoxy, so that in the end we may without condemnation receive Communion of the Lord’s Holy Flesh and Blood from true clergy. And at the close of our lives, may we secure mercy and clemency from the Lord, Who created us and gave us life and made us what we are, and to Whom is due every glory, praise, honour and adoration, with the eternal Father and Holy Spirit, now and ever, and to the ages of ages. O Hierarch of Christ Philaret, with contrition of heart we glorify thee and entreat thee. Having boldness before the Holy Trinity, One in essence and undivided, intercede that the Russian Church not be divided: that the Lord keep it from being cut asunder, as St. Mark of Ephesus plead; may He save it from ruptures in its body, as prayed the Hierarch Philaret of Moscow; and may He preserve also the lot of thine episcopate, the Russian diaspora, scattered among the nations, instructing them in the Orthodox Faith, bearing unfeigned witness to the truth, confessing the faith of the holy fathers, preserving the language of Saints Methodius and Cyril in the order of the divine services, and celebrating the feasts of the Church of Christ as of old. The Hierarchs of Christ today stand in the assembly of the Saints * and with the angelic choirs pray to God for us; * together with them also the Hierarch of the Lord Philaret * a canon of faith and icon of meekness * who appeared to his flock as a teacher of continence * having acquired by humility things lofty and by poverty riches * he intercedeth for our souls. Graced with an apostolic mind * enthroned with the Hierarchs of the Russian Church * divinely wise cultivator of the Russian diaspora * confessor of the love of Christ * zealot of Orthodoxy * Holy Father Philaret our Hierarch * entreat Christ our God * to establish spiritual unity in the Church of our Fathers * and to save our souls. From childhood thou gavest thyself wholly to the Lord, abiding in prayer, labors and fasting, O God-bearing Philaret, and becamest a model of shining virtue for thy flock; therefore, beholding thy pious disposition, God appointed thee a shepherd and valiant hierarch for His Church, and after thy repose preserved thy holy body incorrupt. Wherefore, beseech Him fervently that He save our souls. SPEC. MEL. "SEEKING THE HIGHEST"
Ascending on thy virtues as upon a fiery chariot, thou art united to the noetic ranks on high, O Philaret. Wherefore, thou art now a converser with the angels, O holy one, praying unceasingly with them to Christ God in behalf of us all. O Holy Confessor, Philaret, Intercessor for the remnant, Thy holy relics were revealed to us on St. Michael's day, Confounding the enemy, And strengthening us for the trials to come. Thou art a sure guide on the Royal Path. O Blessed leadership! O steadfast truth-lover, Pray to God for us. This is a privately owned blog.